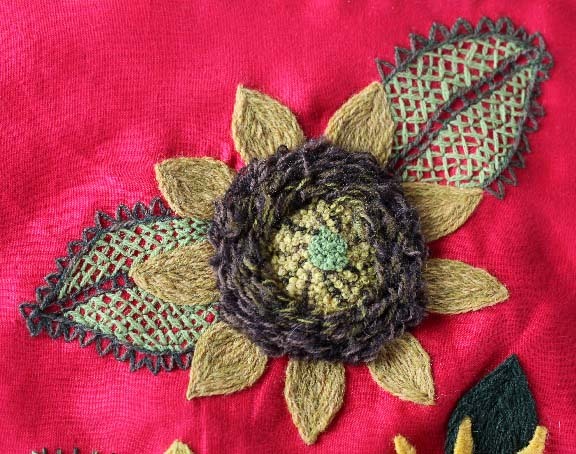 Just a quick note today to let you all know that I have a Crewel Embroidery Retreat coming up August 8 and 9. I still have three spaces available if you have the urge to attend or have just come into some $ and you have been dying to come to a class here at our Leyden Glen Farm. What will you learn? We will be doing Crewel Embroidery which is hand stitching on linen fabric with wool threads. This class will be going beyond the basics -- introducing stitches that are less common than the basic 8 or so stitches that are commonly used. It will be helpful if you have past experience with Crewel and Embroidery. My Craftsy Class is a good primer or substitute if you can't get here to the farm. Click on the link at left to get that class at a discount. Linen fabric and wool threads are included in the cost of the class. Food included too. 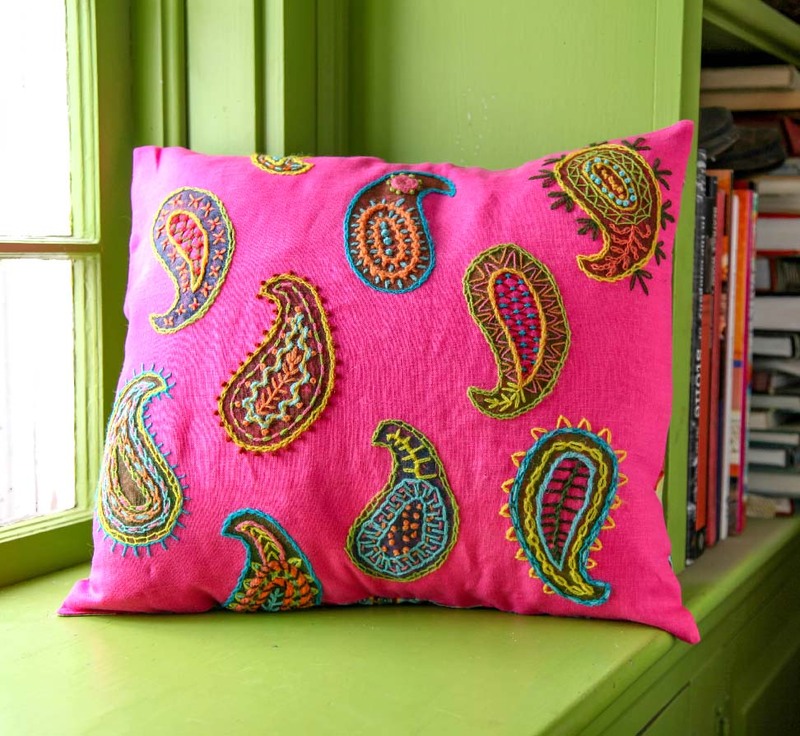 On Day Two, you will have the option to do some of your own designing including fabric printing - similar to my Paisley Pillow. Because these classes are small and intimate, I am able to tailor them to my students' needs and wishes. They really are a good time and good value. My studio which sits next to our garden definitely beats a generic hotel, bad expensive food, and fluorescent lights. I have had people ask me about next summer classes. I do not know if I will be able to run these classes next summer. Next year promises to be a really busy year for me. If you are on the edge and have always wanted to come, I highly suggest you think about coming in 2015. 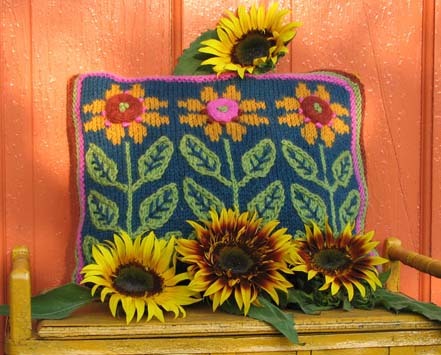 There is one more retreat this season - a Knitting and Color Retreat on September 26/27. There are 4 spaces available at this time for that retreat. Our farm is exceptionally beautiful in September and October. Check that out here. Custom Retreats are also available for a group of 4 people. Just shoot me an email if you would like to set one up for you and a group of creatively minded friends. If I was closer I'd be there. I do have your Craftsy class as a substitute.